Firmware Version 1.1.3 for the EOS 700D incorporates the following fixes. 2. Corrects some Korean language misspellings displayed on the menu screen. Firmware Version 2.0.3 for the EOS-1D X incorporates the following functional improvements and fixes. 1. Auto focusing performance under low-light conditions has been enhanced when performing focusing before shooting in AI Servo AF mode. The enhancement comes from the improvement in tracking capability for the first image in the low-light conditions. 2. The number of release parameters settings for the 'AI Servo AF 2nd image priority' AF function has been increased to enable improved AF tracking in low light or maintain consistent high frames rates during continuous shooting. 3. The number of parameters for acceleration/deceleration tracking in the AF Configuration Tool has been increased. 4. Exposure compensation can be performed when using manual exposure and ISO Auto. 5. The minimum shutter speed limit for ISO Auto has been increased with shutter speeds up to 1/8000. Canon has published updates for a range of software. - an error in which font settings are sometimes not reflected on print contact sheets has been fixed (Mac version only). - fixed an error where the camera's serial number that is displayed in the shooting information of the image is not displayed correctly for some of the EOS 60D. - adds support for EOS 70D, EOS 100D / EOS Rebel SL1 / EOS Kiss X7, EOS 700D / EOS Rebel T5i / EOS Kiss X7i , EOS-1D C.
- support added for Windows 8. Canon has updated EOS Remote - an iOS app available through Apple iTunes. 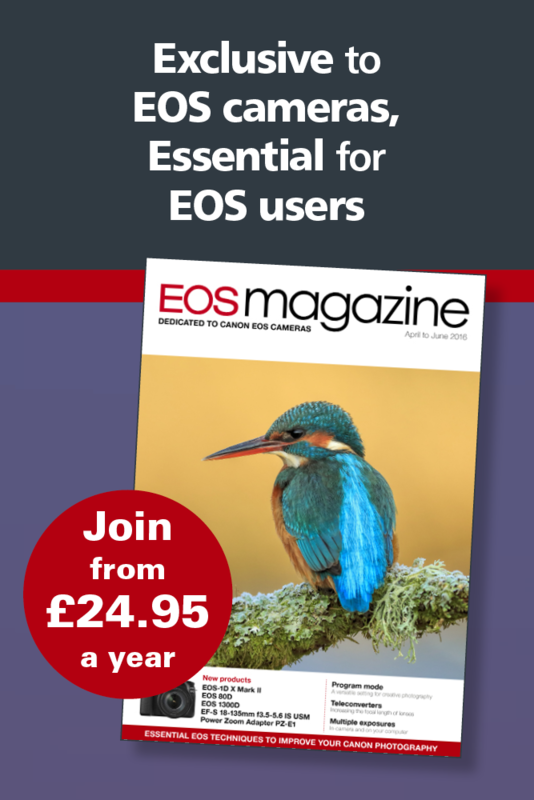 EOS Remote is a free application for convenient remote shooting, image browsing and other operations on EOS digital cameras with Wi-Fi functionality. As you view live images from the camera in EOS Remote you can remotely set the focus, adjust shooting values and fire the shutter. You can also browse images on the camera's memory card, select images and save them to your device. EOS Remote requires iOS 5 or higher and is compatible with the iPhone and iPod Touch. Although not optimised for the iPad, EOS Remote can be used in iPhone mode at the original resolution or enlarged. Compatible cameras are currently the EOS 6D and 70D (not compatible with movie mode). Version 1.2.0.0 adds manual focus for remote shooting in Live View. In previous versions EXIF information was removed when transferring or saving images. In the latest version, some EXIF data (rotation, date/time of shot, GPS) can be added. Park Cameras has opened the doors to its new camera store in London. Park Cameras’ aim was to create the best camera store in London and they believe that they have done this. Their plan was to recreate the award-winning formula that has served them well since opening their flagship Burgess Hill store in 2008. But it’s their 42-year history and over 400 years’ combined experience in the photo industry that has helped them design their new specialist camera store in central London. Park’s store is extremely accessible in the heart of the west end of London. It’s just a few minutes’ walk from either Oxford Circus or Tottenham Court Road tube stations and can be found at 53-54 Rathbone Place, London, W1T 1JR. The store spans over 4,000 square feet dedicated to photography. The store is so large in fact, it even has its own postcode! A news release on the Canon Japan website gives a preview of the forthcoming EOS M2 camera. The M-series are mirrorless models - though Canon prefers the term CSC (compact system cameras). The release date is given as mid-December 2013, but we understand this is for Japan only. There is no indication if or when the camera will be available elsewhere. Update 4 December 2013: Canon UK says that it is not planned to introduce the EOS M2 in Europe at the moment, but distribution and demand will be constantly reviewed and the situation may change in the future. – fixes a phenomenon in which the image files cannot be transferred using the FTP protocol via USB cable after the EOS 7D camera has established a wireless connection to the Wireless File Transmitter WFT-E5 (A/B/C/D). In compliance with the law regarding electro-magnetic waves in each region, there are four types of WFT-E5 (Types A, B, C, and D) for each of the respective target regions.